Where do I even begin? These two had such a vision for their #BestDayEver- I was sold on mismatched bridesmaid dresses and when they wanted to use geometric containers as centerpieces. It was all about the details! Bouquets can be described as a little boho and a little whimsical. 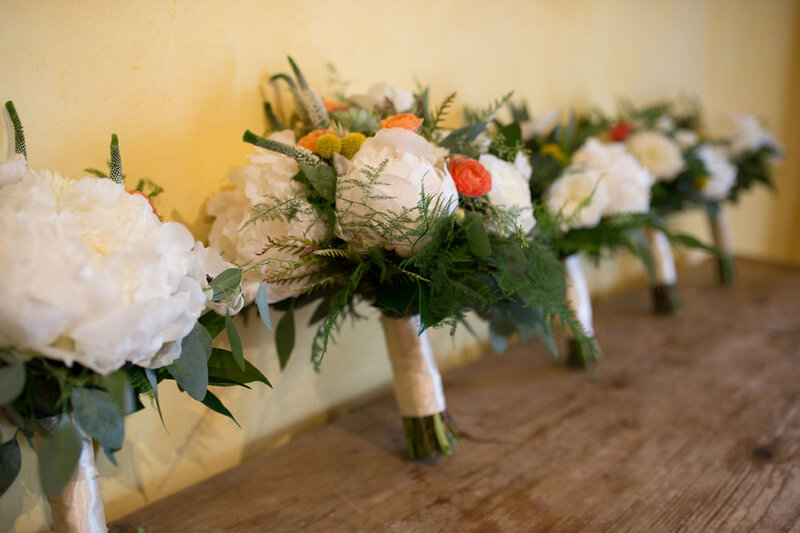 These loose and airy bouquets consisted of anemones (bride's favorite), ranunculus, crespedia, dahlias, succulents and the most amazing peonies I have ever seen flown in from Oregon! Veronica and assorted varieties of greenery added texture as well. 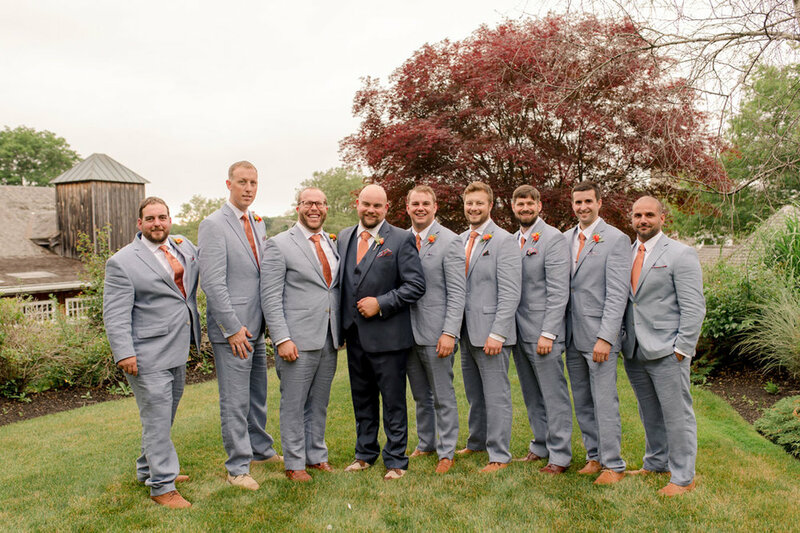 The gentlemen all wore boutonnieres that were all just a little different which complemented nicely against their light blue suits. 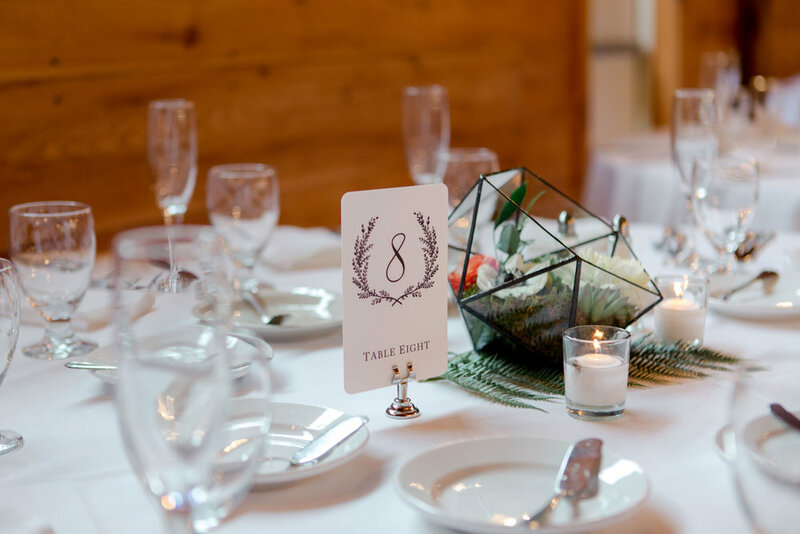 Michelle of Bella Luce Photography was so nice enough to share these great photos of Heloise and Tony's wedding! THANK YOU!!! Living for all of the detail shots and love the natural lighting! Centerpieces were a range of different geometric containers in all shapes and sizes. 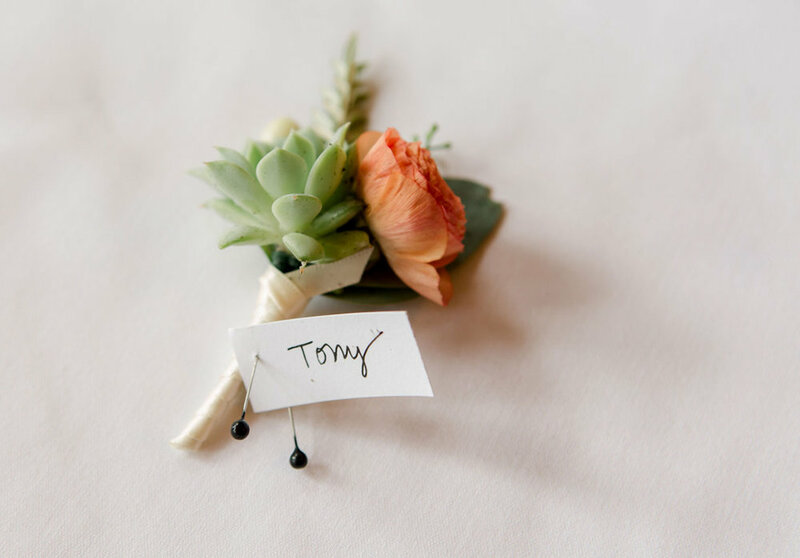 They were filled with pops of flowers and touches of fillers, succulents and moss. The ceremony pieces consisted of sprouted curly willow with 'floating' anemone flowers throughout in urns at the bottom of the staircase. Votive candles trickled down the length of the staircase. The room was filled with the most love and all of the laughs. Thank you to my fabulous couple- wishing you all of the love, health and happiness on your new chapter as husband and wife! Again major thanks to Bella Luce Photography! Brides to be: is there something unique to you and your fiancé that you are incorporating into your wedding? Is it a one of a kind accessory, homemade favors or a fun first dance? I would love to hear it! Mondays don't have to be lousy- I bet you these photos made you smile today!! Making Mondays lovely again.. Russo Fab signing off. Love the best life you live!